This important book focuses on post-Lisbon Agenda issues of alignment and misalignment on different dimensions of European society and the European economy, including industrial systems, R&D systems, educational systems and job markets. It also looks in particular at the peripheral regions of Europe - the less developed parts of 'old' Europe, the parts of old Europe that are outside or only half-inside the Eu, the new member-states of the Eu, and Turkey as the most important Eu candidate country. 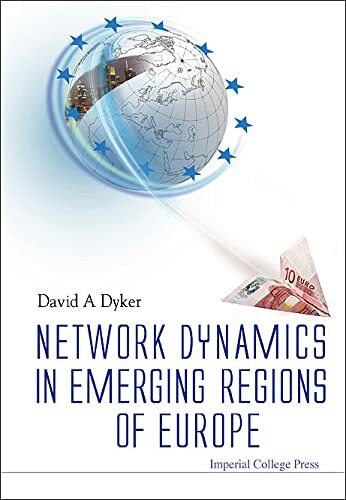 It takes as its methodological starting point the theory of network alignment as developed in Spru, notably by Nick von Tunzelmann, and builds on this to produce an incisive assessment of the institutions, individual actors and markets that drive the knowledge economy. In all of this, it sets the European picture firmly in the context of global developments in investment, labour and intellectual property flows. Key authors include the editor himself, von Tunzelmann, Andrea Salavetz of the Hungarian Academy of Sciences and Matija Rojec of the University of Ljubljana, Slovenia. David A Dyker was born in Aberdeen, Scotland, in 1944. He was educated at the University of Glasgow and the Economics University of Tashkent in Uzbekistan. He has been studying the countries of Central-East Europe and Eurasia for over 30 years, and in his extensive published work he has charted the decay of socialism, the difficult beginnings of transition, and the broadening-out of the agenda facing second-stage transition at the start of the new century. His Process of Investment in the Soviet Union (CUP, 1983), Technology of Transition (CEUP, 1997) and Foreign Direct Investment and Technology Transfer in the Former Soviet Union (Edward Elgar, 1999) are classics in the field. In addition to teaching and scholarly research, Dyker has been deeply involved in the transition process as a practitioner, and has worked as a consultant for the Russian, Romanian and Kazakhstani governments, and also for the UN Economic Commission for Europe. David Dyker is an academician of the Academy of Social Sciences. He is married with three children.